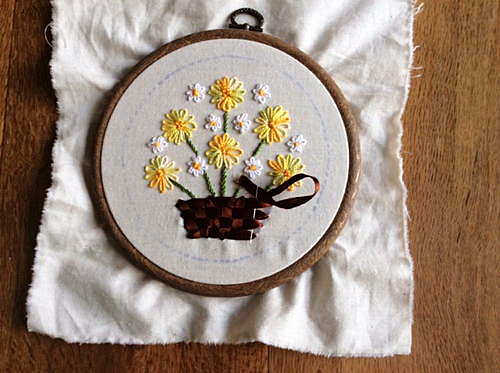 Do you have memories of embroidery work your gram used to do? Maybe you’ve still got an item or two of clothing that she embroidered for you. These vintage embroidery designs are coming back into fashion. If you’ve been trying to recreate this look with your embroidery machine and haven’t had much luck, this upcoming class is for you! 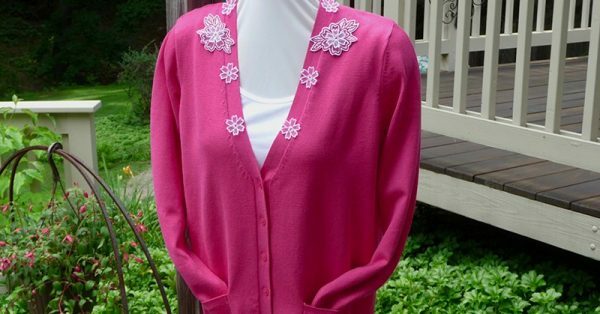 Vintage embroidery looks great on men’s and women’s clothing, children’s wear and home décor and accessories. Once you master the technique, you’ll be embroidering everything you can get your hands on. This four-hour class includes both lecture and interactive components. You’ll learn how to use the Vintage Software to create beautiful designs on anything you can image. You’ll play with colors and textures to create completely unique results. Learning the DIME way, you’ll master flawless borders. 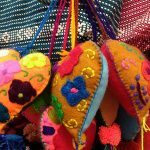 And you’ll learn the secrets behind embroidering on prints, nubby fabrics like knit work, and smooth fabrics like satins and sateens. Not enough? How about also learning to with heavy thread and matte finishes? 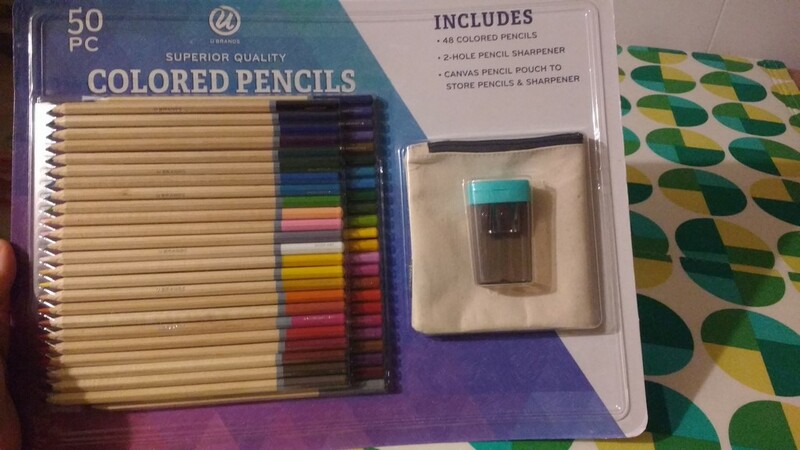 All this included for just $29. When you register online (here) you’ll receive five specially digitized Vintage embroidery designs and get a free goody bag in class! When is this Awesome Embroidery Class? We’re glad you asked! The amazing Donna Siler is teaching this class on June 9 and June 10. 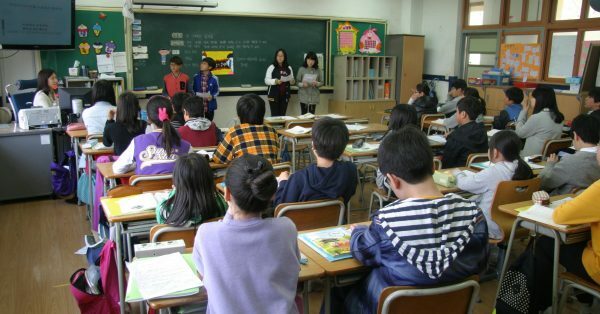 Both days the class runs from 10am to 2pm. 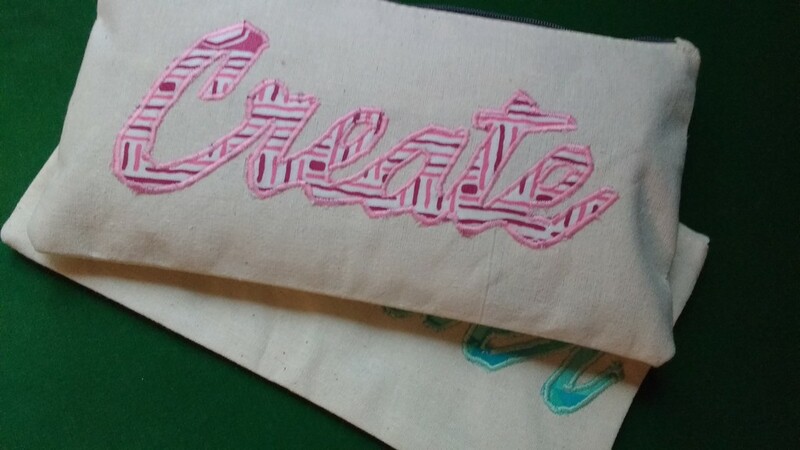 Four-hours of your time will have you embroidering vintage designs like a pro! Classes are held at our shop at 713 Center Drive in San Marcos, CA. Don’t miss your chance to learn Vintage embroidery. 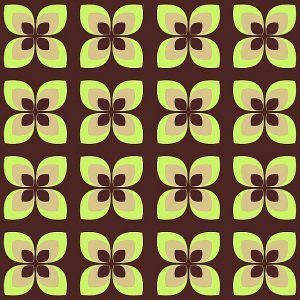 The software makes it easy and this class gives you everything you need to know to create vintage designs on any fabric. They’re so fashionable now, your family and friends will want you to personalize their clothes and home décor. 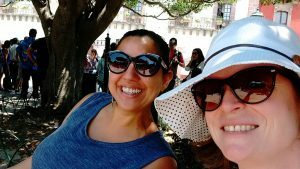 Summer Vacation 2017 is upon us! Summer Vacation 2017 is upon us, and as could be the case for any season and time frame, it’s showing up with its own trends. There are a number of these that you can apply to your sewing, but the one that I primarily want to focus on is embroidery. 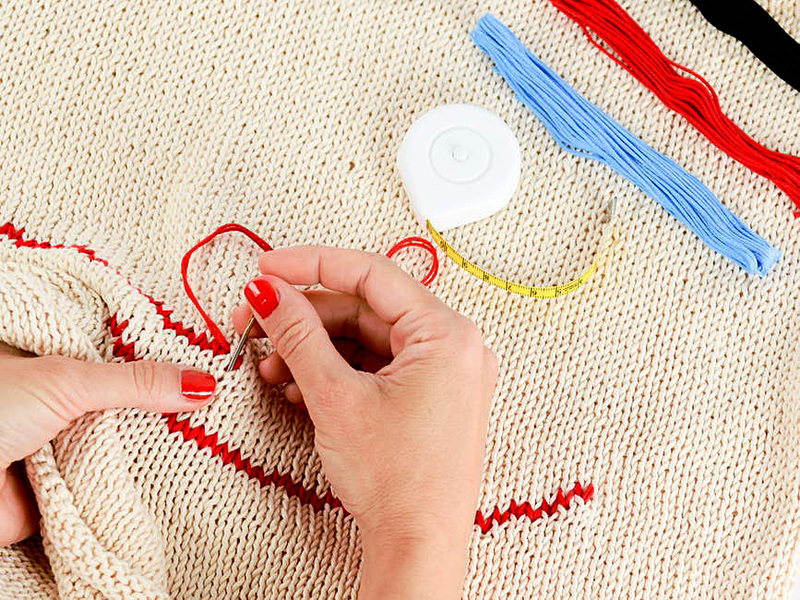 According to one source, “[t]he biggest trend that is coming in 2017 is definitely embroidery,” which makes it a popular topic to explore and try your hand at. For me personally though, it isn’t my main focus in sewing, so there’s plenty of room for me to learn and grow within that category. What better way could I have to do those things than to explore and research for the sake of a new blog post? Let’s start with the very basics, like what exactly embroidery is. 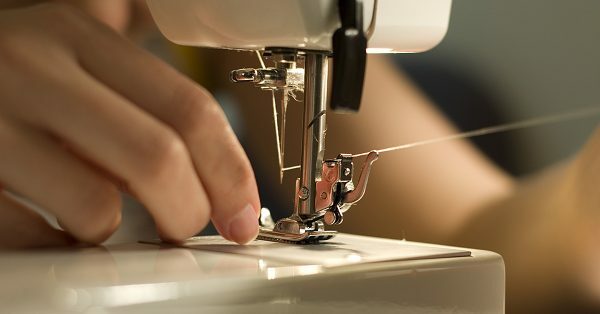 In regard to the world of sewing, that definition has been given as the following: “Embroidery is ‘thread art’ used to embellish a garment, hat or some other product by adding a sewn pattern. Generally, this sewn pattern includes a design and can also include lettering and/or monograms.” If you find that a bit too far-fetched of a definition though, think of it like drawing artwork on a product or fabric. 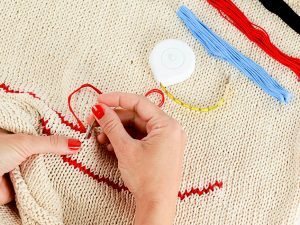 Just as you would take a marker, colored pencil, or crayon to create an image on paper, “thread or yarn” can be used in embroidery to build the picture you mean to make. 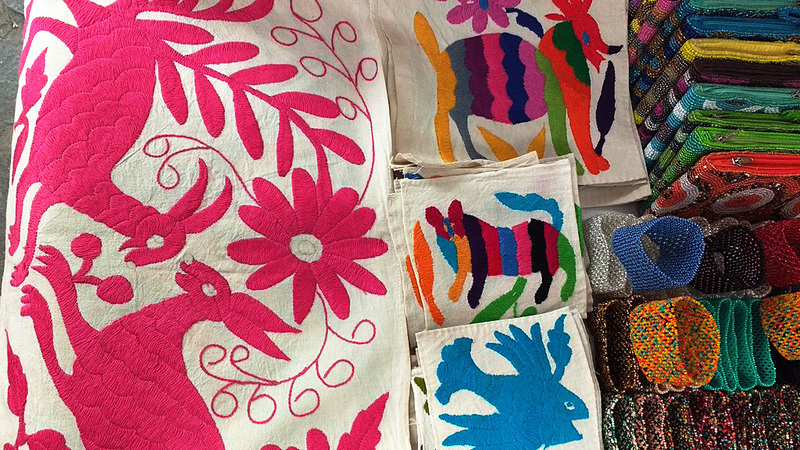 Clearly, embroidery has changed over the years, but the long-reach of this style of artwork speaks volumes to its appeal & application. Embroidery, as it happens, is not a new concept either. 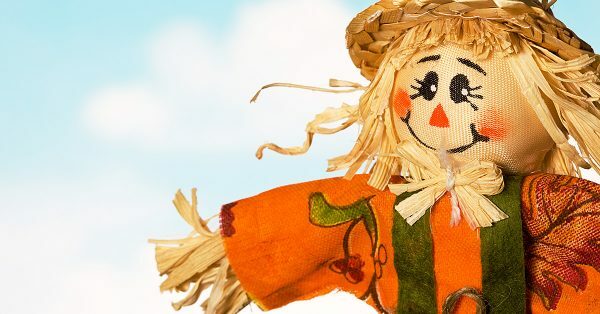 It dates back to prehistoric times — “to Cro-Magnon days or 30,000 BC” — so prominently that “fossilized remains of heavily hand-stitched and decorated clothing, boots and a hat [have been] found.” Clearly, embroidery has changed over the years, but the long-reach of this style of artwork speaks volumes to its appeal and application. If it has remained for so many millennia and through the technological changes within the later centuries, it’s safe to say that it’s a topic and technique that has captured interest through the passage of time! One reason for that appeal is clear since, because of the many forms embroidery can take, the possibilities for design are almost limitless. If you want a picture of a flower, a bird, a house, a doughnut, or a dragon on your work, you can add any of the above — or whatever else you have in mind — so long as you don’t over-exceed your own abilities. 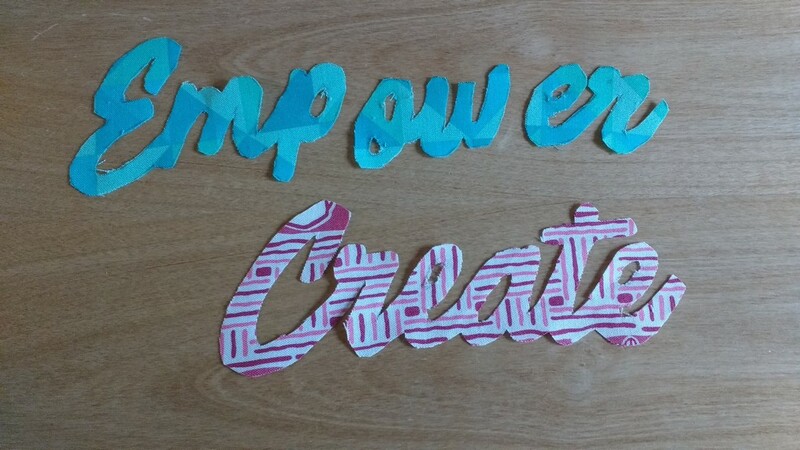 If you can physically create it, you can do it! 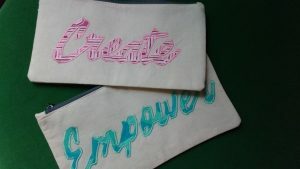 It’s important to note though that this is one area that merits consideration since if you try for something too large-scale on your first embroidery project, you could fall short and become discouraged with the whole process. When you start off with such a bad experience, it can be a psychological obstacle to overcome if you want to better yourself in the field. 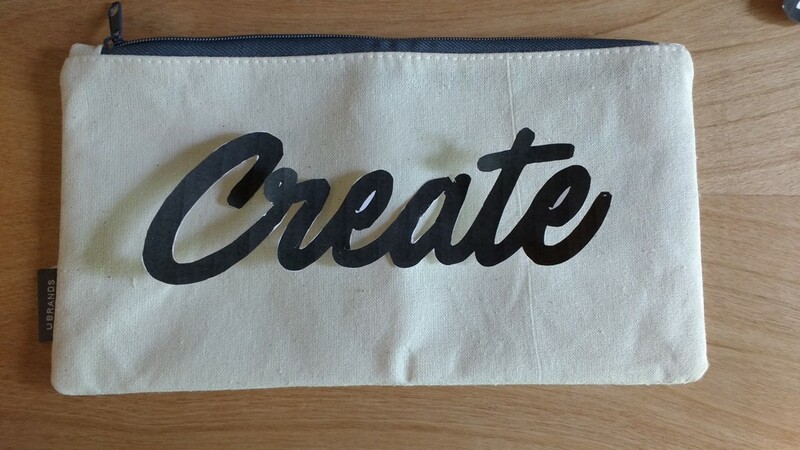 Keep in mind then where you are with embroidery, and choose projects that are fitting for your level. 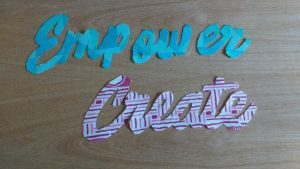 If you can physically create it, you can do it! In essence though, embroidery can be incredibly personal and project-specific. 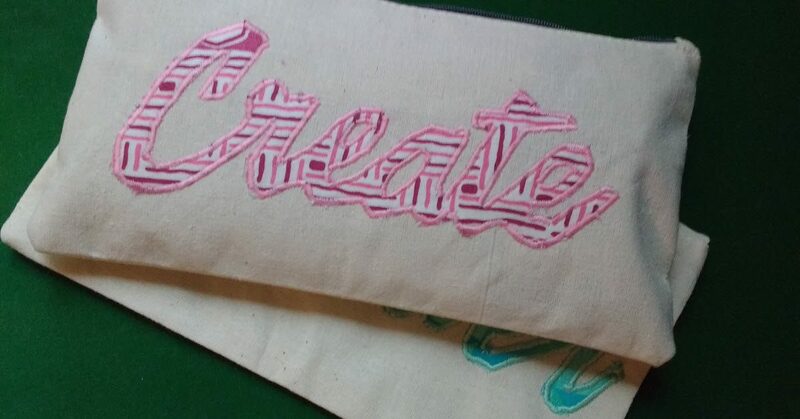 You don’t just have to rely on the fabric at your disposal to create a work that’s perfect for you and your purpose. 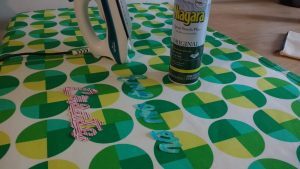 If you want to sew a blanket for a friend’s baby shower, for instance, you could add to whatever adorable fabric you use for that work by personalizing it with the baby’s name. 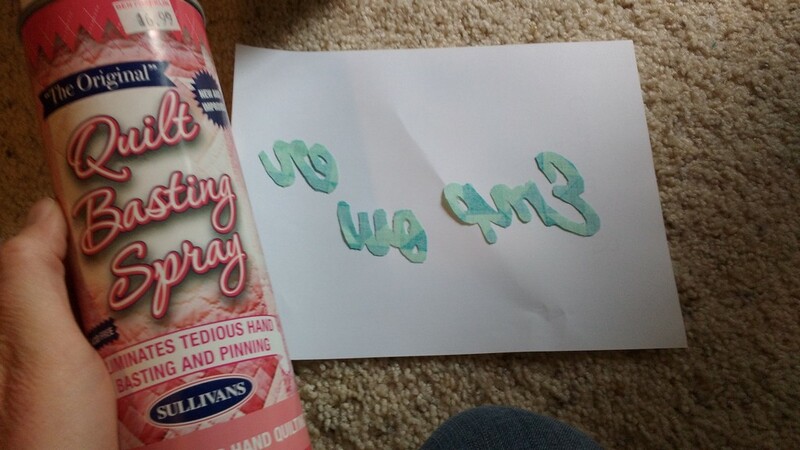 If you’re making some kind of wedding gift, you could add the wedding date right onto the material. That truly is a beauty of embroidery. Whatever you want, if you physically can do it, it’s an option — even if you have to use an embroidery pattern to make it happen! 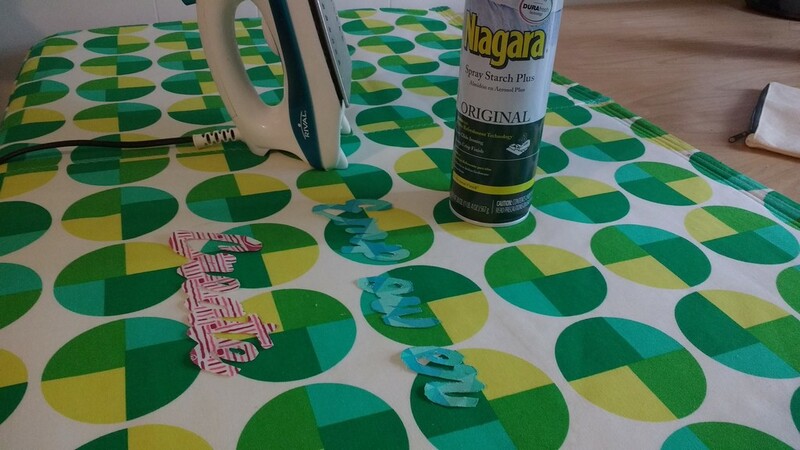 Add to whatever adorable fabric you use by personalizing it with a name. 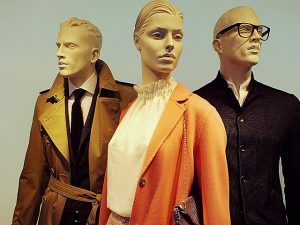 Of course, this can be applied to your clothing, as is evidenced by the notion that “Gucci, Dolce & Gabbana and McQueen” have all been credited with embracing this trend. The level of creativity involved with this clothing idea, again, can’t be overstated because you can tailor your designs to what you have in mind. If you want a blue top with a colorful butterfly on the left shoulder, you could make that happen even if you can’t find it in stores. Overall, I honestly don’t know if there’s a more creative way to make your own items unique, so if you want to create a piece that’s as yours as you can manage, you might want to step into the world of embroidery! It’s trendy this summer, and a number of the popular embroidery concepts are very spring/summer-inspired — like flowers and birds. All in all, if ever there was a perfect time to step into this creative category, it’s now! 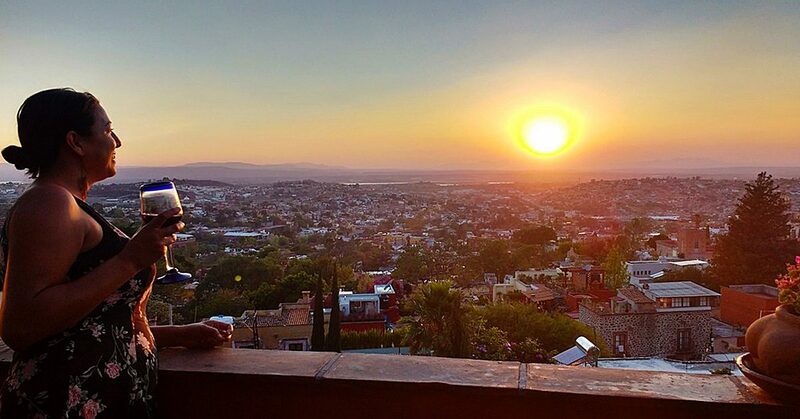 San Miguel de Allende, in the state of Guanajuato, Mexico. I recently traveled to San Miguel de Allende, in the state of Guanajuato, Mexico for a five day writer’s retreat with two friends. 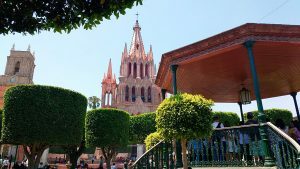 Although famous in Mexico proper, many gringos have not heard of San Miguel, located the mountains at 6,200 ft. elevation, at approximately Mexico’s center (200 miles north of Mexico City and about 600 miles from the Texas border). Although famous in Mexico proper, many gringos have not heard of San Miguel. 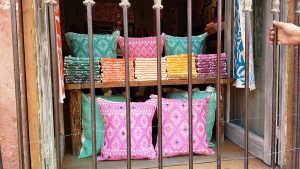 I’m a sewist and a writer and while I was there to work on my book, I could not tear my eyes away from the gorgeous colors of the city and the beautiful fabrics & textiles I found there. 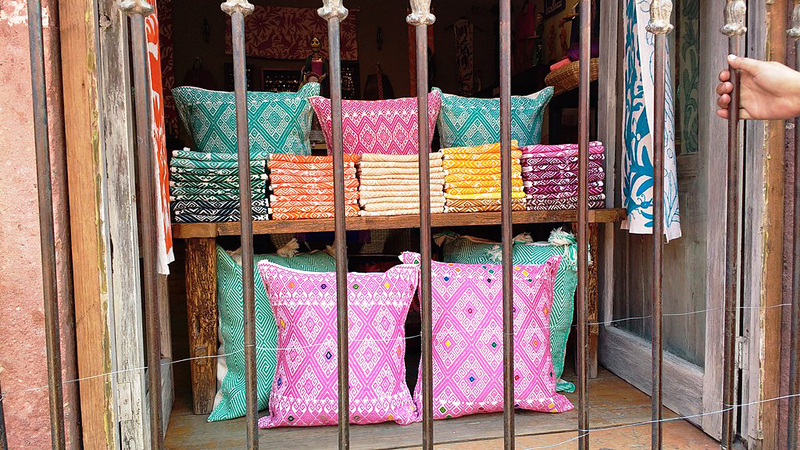 I could not tear my eyes away from the gorgeous colors & textiles of the city. Even the city itself reminded me of a patchwork quilt. 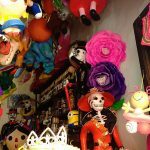 Mexico is not afraid to use color, in fact it embraces bright, vibrant colors in both private and public buildings, art, and culture. 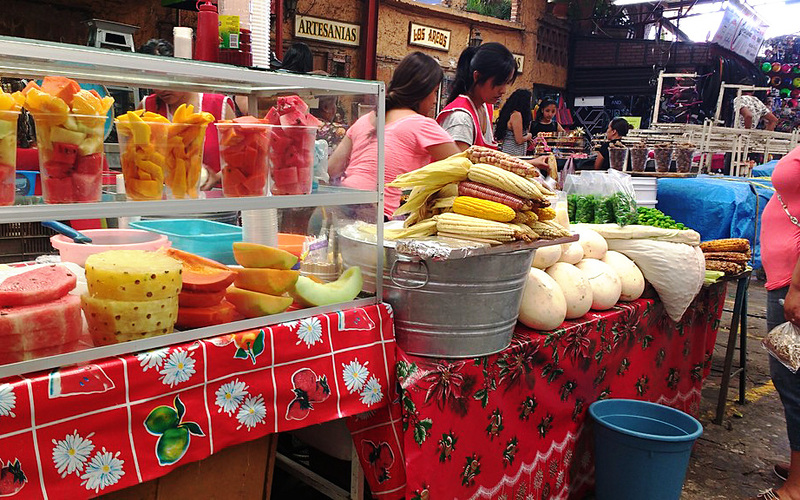 Mexico is not afraid to use color. 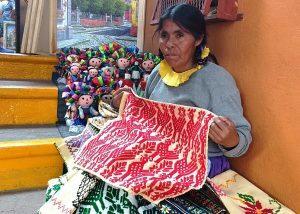 The culture embraces bright, vibrant colors in both private and public buildings, art, and culture. 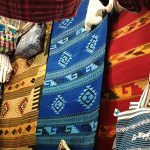 Locals claim that the birthplace of the serape is San Miguel de Allende and I was inundated with options. 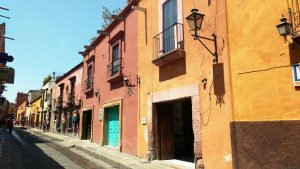 Locals claim that the birthplace of the serape is San Miguel de Allende. 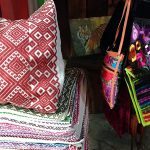 Other items on display were rugs, pillowcases, bedding sets, purses, bags, belts, guayaberas, and embroidered and woven fabrics. The hand embroidery I found particularly compelling. I bought a bright yellow bag with hand embroidery and my girlfriend, Lizz, bought a hand embroidered panel she plans to hang on her wall at home. This is the panel she purchased (photo taken with permission). This is the panel she purchased. This booth was my favorite. 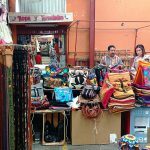 It was located in El Mercado de Artesanías. I was so inspired that I had my pencil and paper out and took notes to plan out quilts I’d love to make with the huge, hand-embroidered panels. 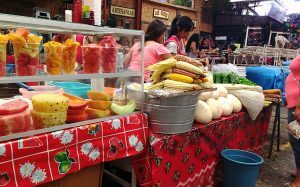 This booth in El Mercado de Artesanías was my favorite. They sold smaller squares too, similar to charm packs and layer cakes. I’ve worked these into some upcoming designs as well. I’ve worked these into some upcoming designs as well. 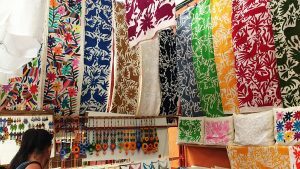 Mexico also has the best selection of oil cloth fabrics. Make sure to pick up a few yards for your stash whenever you visit. Make sure to pick up a few yards for your stash whenever you visit. 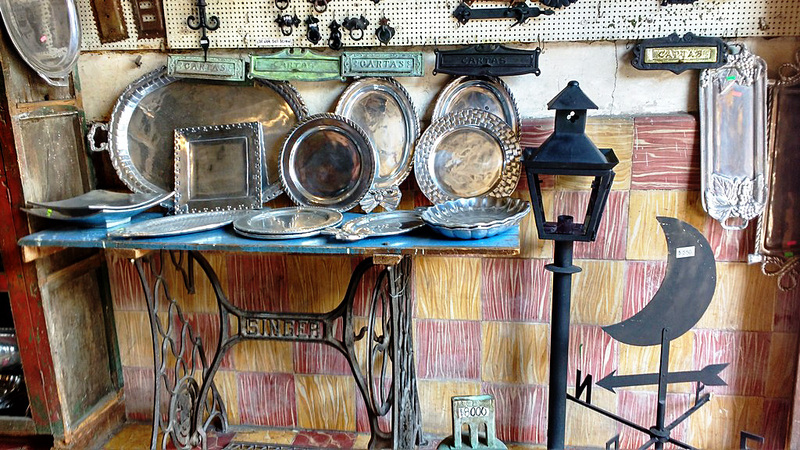 After a long day in el centro, I spotted this Singer sewing table used for display at a local tienda. Sewing is everywhere. 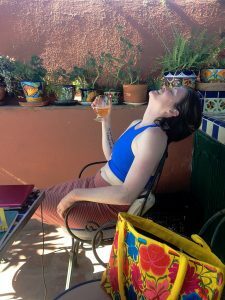 Here I’m enjoying a hard earned beer after a long day of writing, but it’s the bag in the foreground I want you focus on. Check out that embroidery and the stunning color! Check out that embroidery & the stunning color! I cannot wait to go back. Have you ever visited San Miguel? 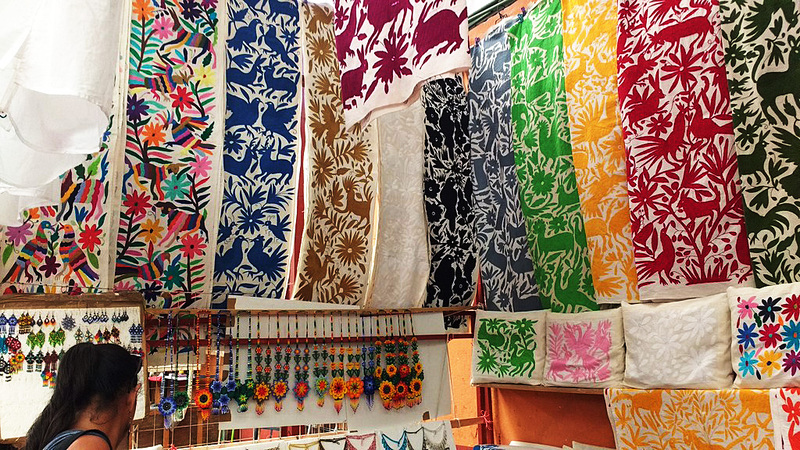 Did you buy any fabric while you were there? Share with us your finds in the comments. 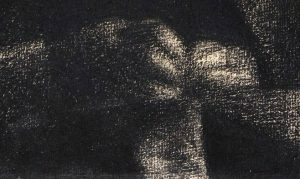 Weeks ago, I did a post where I analyzed a work of art that depicted sewing — specifically a woman sewing by a window with a child nearby. I said within that post that I would return to the overall concept in the future, and the art geek in me is so drawn to the process that a return visit to the strategy is coming your way now! This is supposed to be “tranquil portrait of the artist’s mother” with “a serene ambiance of quiet domesticity,” but to be honest, I don’t quite see it. Of course, art is open to interpretation, but if Seurat intended to create a piece that represented any kind of peaceful or happy sensations, for me, he missed the mark. But I suppose I’m getting ahead of myself! Perhaps we should scale it back and cover the piece’s details before we dive into what those pieces mean. Seruat’s work that’s now being addressed, just about the whole thing can be fitted into the focal pyramid. 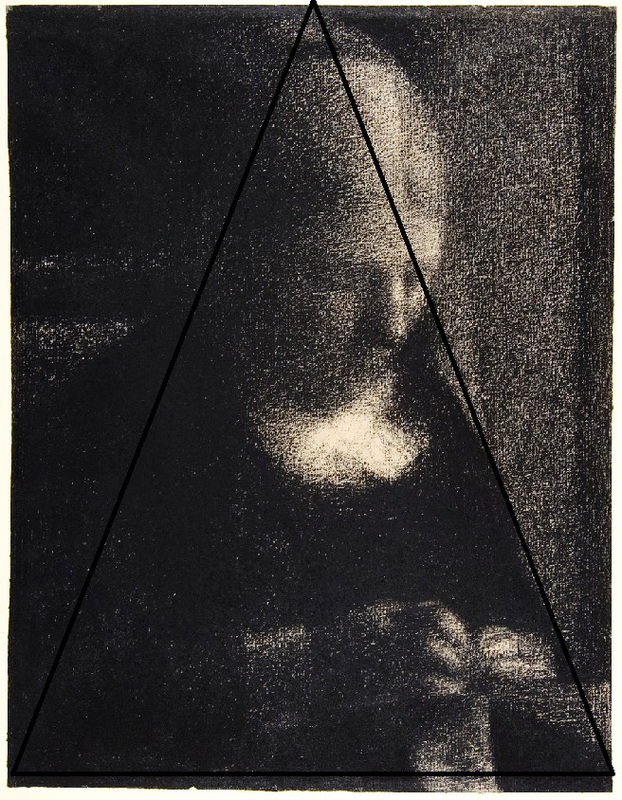 On my earlier post, I mentioned the concept of triangular configuration, meaning a triangle — or pyramid — could be drawn generally around the central figures of the work to bring the viewer’s focus to that section. 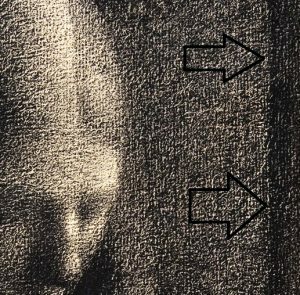 With this drawing, most definitely that concept is employed, but it’s in a much different way than what was seen in the painting that was previously analyzed. For that earlier work, there were a number of other elements at play that surrounded the pyramid. For Seruat’s work that’s now being addressed, just about the whole thing can be fitted into the focal pyramid. 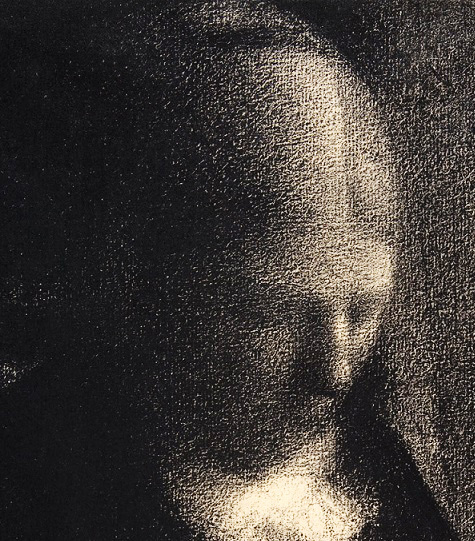 Beyond that factor, the most notable detail of this work is potentially how dark it is. 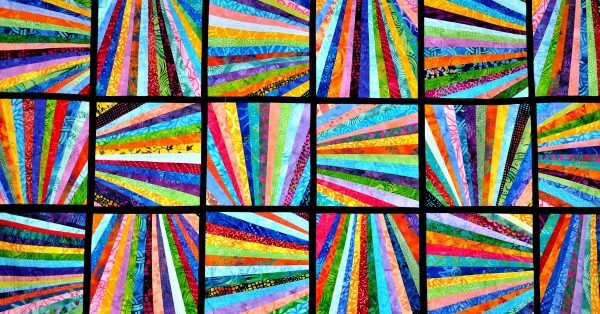 There’s very little light in Embroidery — so little, in fact, that there are only a small number of areas that are bright enough to fully be differentiated. Consider what’s going on behind the woman sewing, on her left side. The work gets brighter, then darker, as if something is there that changes the light in that area. Maybe it’s a bend in the wall because she’s working by a hallway, or perhaps it’s some kind of drapery that’s hanging there. The point is that the viewer can’t know why the difference is there. He or she can only note that it is there. The work gets brighter, then darker, as if something is there that changes the light in that area. There’s a vagueness in that detail, and it’s mirrored in the blurred features of the woman herself as she sews by hand in a room that seems to be incredibly dark. In truth, without the visual proving that she’s using her hands, the viewer could easily conclude that the woman in the work has fallen asleep while sitting up. There’s no indication that her eyes are open, and a person can barely discern the woman’s mouth to know what’s happening there. 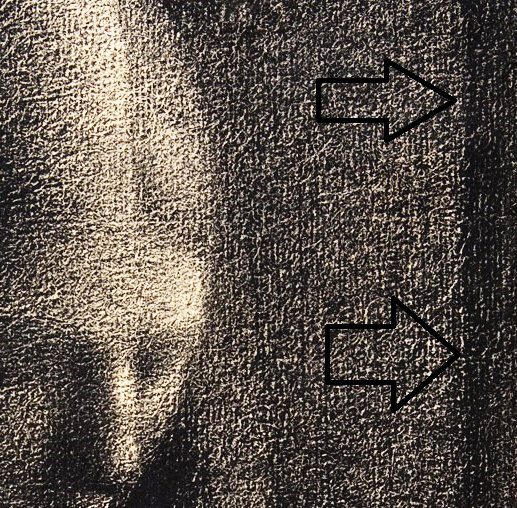 Without the image of the actual sewing, the viewer could let his or her imagination run wild to decide she’s asleep and drooling, or frowning through a nightmare. The piece simply looks too vague to know from the facial expression alone. Without the visual proving that she’s using her hands, the viewer could easily conclude that the woman in the work has fallen asleep while sitting up. 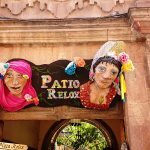 So what we perceive is a woman who is sitting in what can barely be distinguished as a chair, and the only indication to us that she is sewing is we can see the material hanging from her curved hands. See the material hanging from her curved hands. If I put all of that together, I just can’t arrive at a peaceful meaning. To me, the darkness shows a sadness that’s mirrored in the idea that there’s nothing of sincere noteworthiness happening around the woman aside from the sewing. Since that sewing itself is inches below the lightest part of the painting, brightness isn’t a logical label to give to that activity either in order to offer a pleasantry to her task — and, by extension, the whole image. 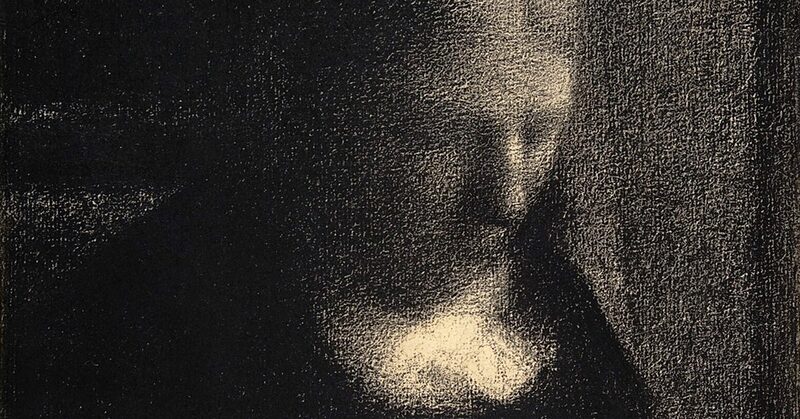 To me, this feels more like a rendering of a woman who is almost a drone — thus, her faded features — tending to a task that leaves her so unhappy that she’s sitting in darkness and perhaps nearly dozing in her efforts. This, to me, is not a good representation of sewing! I suppose by applying the description of the work, I can rationalize that it wasn’t the artist’s intent to create a piece that so drearily portrays the process of sewing. The site even acknowledges a positive comment that’s been given to the work, so it could be that I’m the only one who comes to these kinds of conclusions. Still, if I was going to direct someone to an art piece that I feel showcases the mood of sewing, this might not be my choice! What do you guys think? Is it dreary and vague, like I thought, or more pleasant like the artist seemed to intend? If you looked at my sewing room right now, you would think I was my own little sewing shop. Seriously. There are seven machines strewn out right now. Some of them have their own little stack of projects just waiting for attention, and some are lined up against a wall waiting for projects. This year, I added the Brother SE1800 Embroidery And Sewing Machine to my collection. 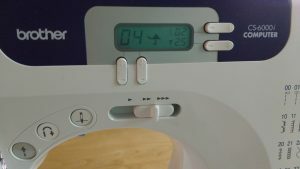 I received this machine from Sewing Machines Plus in exchange for my honest review. All opinions are my own. I was very pregnant when this box arrived at my doorstep — about three days after completing my “order.” So, needless to say, I thought this 39 pound box was quite heavy. Lest you think the machine itself is super heavy, you should know that there are a lot of extras included with this 22 pound machine. I was very impressed with how quickly this machine was delivered to my front porch, and how carefully packaged it was. After I got my machine out of the box and set up, my first impression of the Brother SE1800 was how quiet it was. 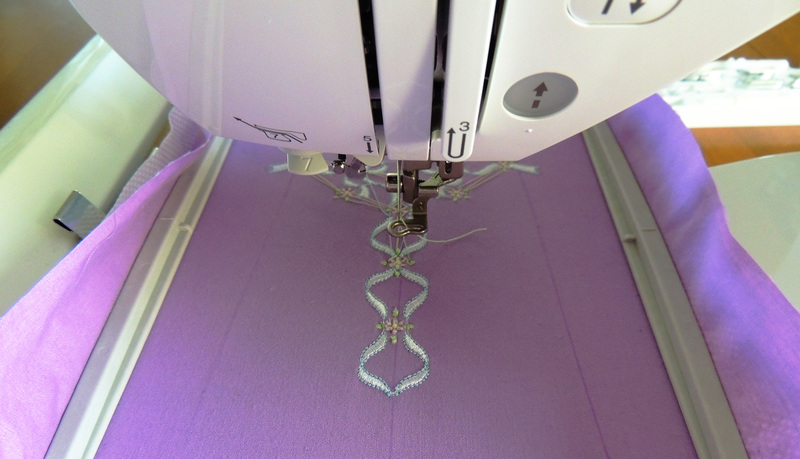 In both the embroidery and the sewing modes, this is a very quiet machine. I wanted to put this machine through as many tests as I could, so I began by reading the owner’s manual from front to back (which I highly suggest any new owner do). I then made a list of projects I could make. My goal was to try out as many of my new machines features as I could — which was a lot. 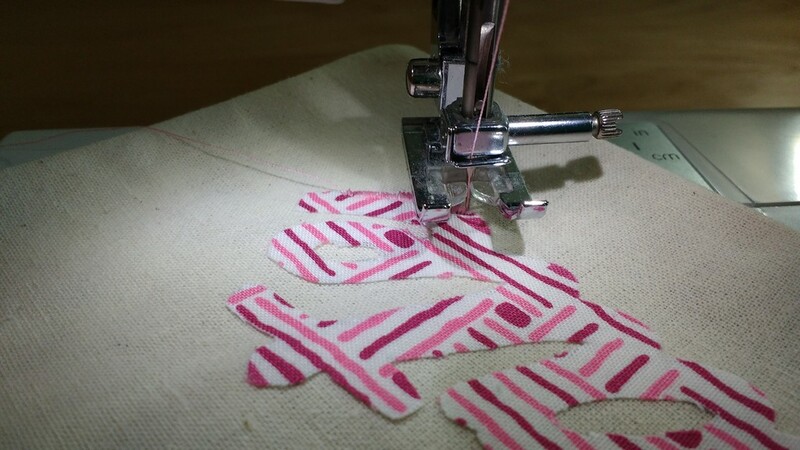 Embroidery patterns are easily downloaded to a USB, which then plugs directly into the left-hand side of the machine. I initially set up my favorite sewing machine next to this one and planned to use the two machines together to make projects faster and smoother. However, I found myself using this combination machine for both the sewing and the embroidery parts of my sewing stack. Switching back and forth between tasks was as easy as turning the machine off and switching the flat bed with the embroidery unit. After turning the machine back on, the display automatically switches to the proper mode. I used this machine for basic sewing, heirloom sewing, basic smocking, embroidery and appliqué. It also has darning features I have yet to use. I could go on and on telling you all the features this machine offers, but that would be boring and you can see all those details here for yourself. I will get straight to the exciting part — my favorite features. My favorite type of machine sewing is heirloom sewing. This machine made pulling strings and sewing lace together smooth and quiet — it has been a very peaceful experience. Secondly, I also enjoy smocking. Until receiving this machine I had previously only done this with a smocking machine and hand stitching. Although there is definitely a learning curve with this machine, I have thoroughly enjoyed learning a new trick to a timeless technique. The appliqué process/instructions are different from how I normally do appliqué, but once again I enjoy learning a different technique. I have, since receiving this machine, had a new baby. The Brother SE1800 has become one of the main machines I use now because of how quiet it is. Although this machine doesn’t replace a heavy duty machine or serger, because it’s a combination machine, it’s done every other project I’ve needed to do. 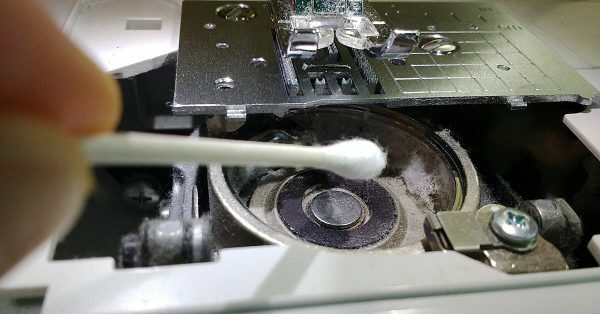 If you have never had an embroidery machine before, then I highly suggest getting one with a USB port, as this one has, so that data transfer cords are not needed when embroidering — unless you like to be attached to a computer for that part. If there is one thing I would change about this machine, it would be that the owner’s manual would have pictures of the included embroidery programs. The screen showed a picture of the embroidery and appliqué designs, but I wasn’t sure what the exact picture would look like until I did a test run for each one. Although it’s not that big of a deal, I did have to use extra thread and material to do a test run of each one to see it before I placed it on my desired garment. While I’m unable to add beads & change colors smocking on the machine, I was able to save at least a day working on these side panels. Is is worth the price? Would I have purchased this particular machine myself? Yes, I would have. Although I probably would not have paid the full amount of this machine, Sewing Machines Plus very often has sales going on, and that’s when I would have made a purchase. Another thing that sweetens the deal is all the extras that they put in with this machine. I was able to get started trying out different features right away with all the tools and extras that came as part of this package (which you can check out here). This machine is one of the three machines I have out on my sewing table right now, along with a heavy duty machine and a serger. I’m sure that is where it will stay for quite awhile. Though I will use the other four here and there, this combination machine really replaced them all in so many ways. To read more details and see what I was able to do with my machine while I was running through its features, read this. If you have more questions after you have read this, please feel free to ask. 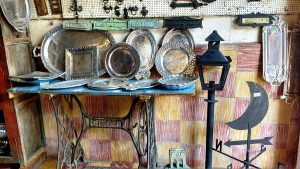 Deborah Olsen writes for gracegardenandhomestead.com from her farm & homestead deep in the heart of the Rocky Mountains. What’s In Style for Spring Sewing? 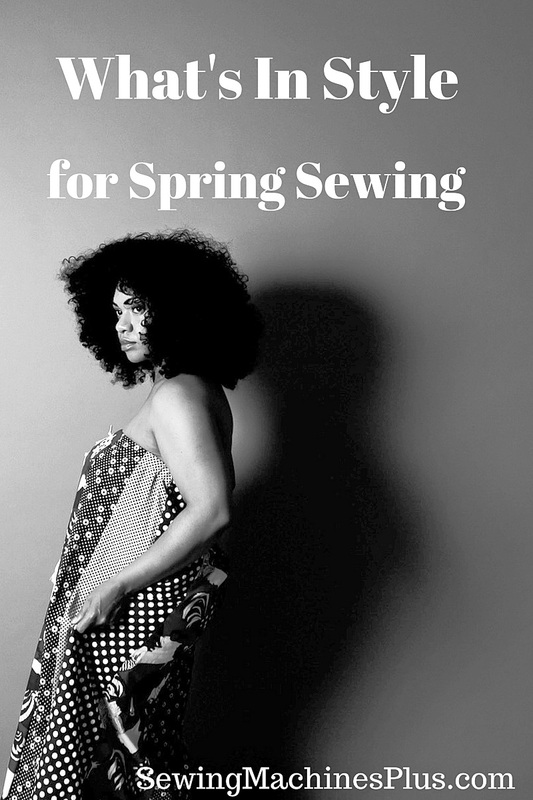 Spring sewing for your wardrobe is one of the best ways to chase away the end of winter woes. What’s in style and on trend? 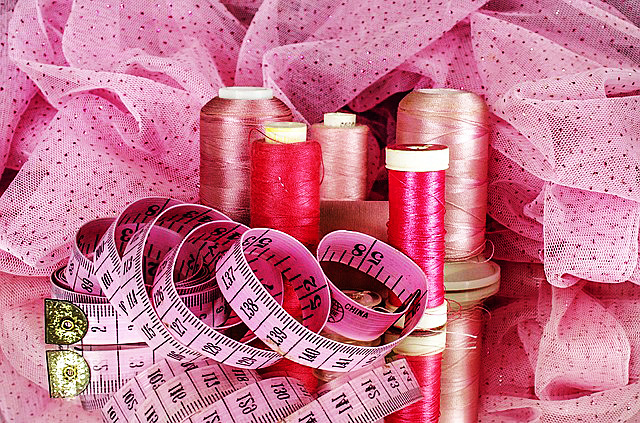 What should you sew for this year? Romantic and baby doll style lingerie continues to be a fashionable influence, with nightgown style dresses, both short and long, and even pajama styles being featured by many designers this year. New this year to this category are wraps and dresses that mimic menswear-style silk robes. These came back last year and we are still seeing them now. Luckily for us, they are easy to sew, especially for elastic waist skirts and pants. 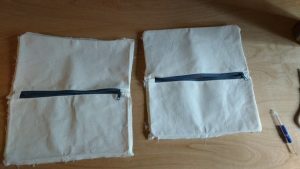 Just fold over the top of your garment an inch or more farther than you would normally fold over for an elastic casing, sew a line of stitching slightly lower than the fold to create the casing, insert your elastic, and voila. Or sew a paper bag neck; higher necklines are on trend this year, too. Metallics started popping up everywhere last year, and these are still in now. You can sew most any garment in a lamé or other metallic fabric now. Gold lamé? More like gold fabulous! The flattering midi-length skirt is still where it’s at this year. We also see midi length cropped pants and jumpsuits cut to this length now. The flattering midi-length skirt is still where it’s at this year. Last year we saw these primarily as small, accordion style pleats. This year, these are still in style. But so are pleats of slightly wider widths. Where large plaids were the rage last year, this year the trend is toward smaller plaids. You’ll also see a mixing and matching of similar plaids in differing scales worn together. Forget the large plaids; small plaids are where it’s at this year. Florals are usually everywhere in Spring. This year, they are trending a few different ways. Designers continued last year’s trend of using small scale florals in romantic, feminine style, though they’ve sometimes paired them with edgier pieces. The small scale romantic florals are particularly popular for jumpsuits now. Larger, 70’s style florals are also popping up all over this year. Large and wide ruffles continue to trend this year. Use these on blouses, skirts, and dresses. Stripes were featured widely last year, and they are still big. We saw stripes on Spring runways this year in different ways. Vertical stripes in navy or black and white are in, and so are colorful, wide horizontal rugby stripes. Pinstripes also featured widely in men’s shirt style dresses. Use black & white stripes vertically this year. 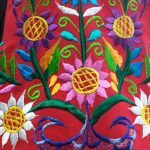 You can put your embroidery machine and embellishment software to good use in your Spring wardrobe now. You can embroider any garment this year. 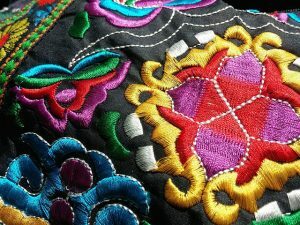 We saw embroidered motifs here and there last year, but it is more widely featured this year. Designers paired embroidered vests with embroidered pants and emblazoned dresses and blouses with heavy embroidery. Handbags especially were covered with embroidery designs this year. Bags, blouses, dresses, jackets, and pants also saw lots of beading and sequins in designers’ Spring collections. From beaded and sequin designs such as florals to covered sleeves, embellishments are on trend. Besides the kitschy 70’s style florals already mentioned here, other 70’s style prints are in. Also make use of graphic geometric prints this year, especially large scale prints. Mock turtlenecks are in, even on bathing suits. Boatneck styles are cut higher than usual, too, right at the neckline. For necklines cut a bit lower, designers paired these with silk scarves wrapped tightly around the neck, to imitate the turtleneck style. Pair dresses with less coverage, such as spaghetti straps, with higher necked tops worn underneath. There are also plenty of shoulder-baring styles this year. Off the shoulder cuts are popular, especially for peasant blouses and dresses. Off the shoulder peasant top. Hopefully you still have the patterns you bought in 2011, because one shouldered designs are in again. One sleeved styles are trending, too. 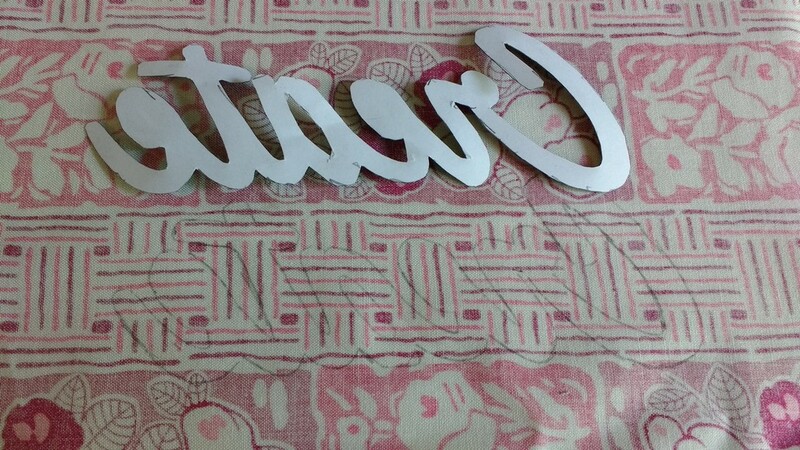 Cut these on the bias. A-line minis are my absolute favorite skirts to sew; I’ll share how to draft your own pattern for a perfectly fitting bias skirt here on the blog soon . Sheer skirts over leotard style tops. Even sheer hoodies! Sheers and cutouts are big this year, along with higher necklines. In tribute to David Bowie, 80’s style glam is trending now, especially with puffed-at-the shoulder sleeves and wide ruffles. Both ankle flare pants hems and bell sleeved blouses are in style now. Flared bell sleeves on a one-shouldered design. 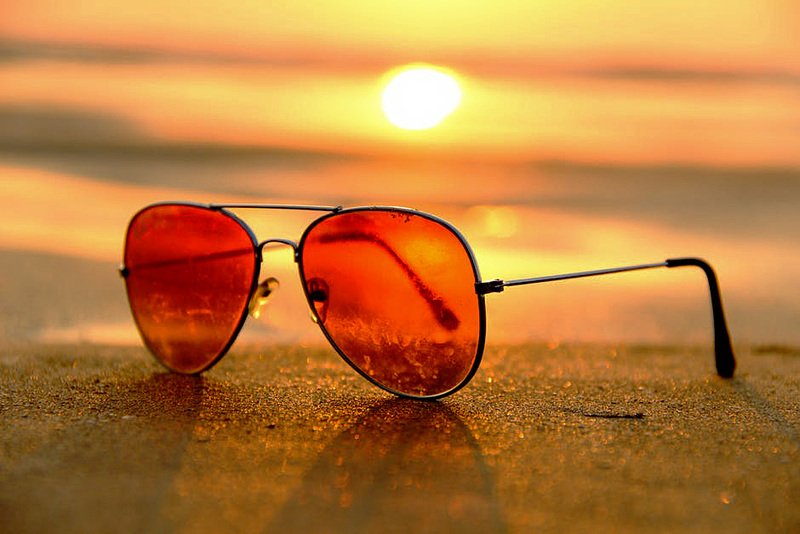 Here is another major way what was hot in 2011 is back again today. Jumpsuits are big now, in all lengths, particularly wide legged midi styles, in floral prints. Runways this year featured patchwork dresses of all kinds. 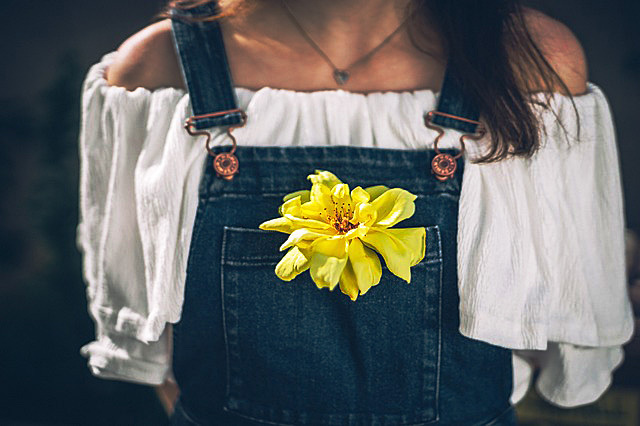 From a mix of solids reminiscent of Amish quilts, to patchworks of patterns and florals, any kind of patchwork can work in your Spring sewing and wardrobe this year. 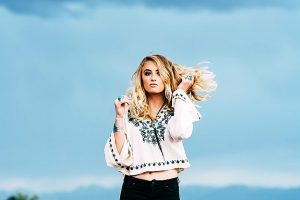 Feathery fringe is everywhere now, from necklines and sleeves to bags, even dresses covered in tiers of brightly colored feathered fringe. While smaller handbags with heavy embroidery are in style, super XL bags are all the rage. 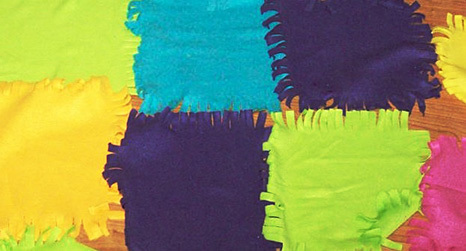 Yellow & blue are both hot colors now. I’m excited that patchwork and embroidery are trending now, and I’ll be adding more of these pieces to my closet. On the other hand, in style or not, you’ll never see me wearing yellow, gold, or feathery fringe! Which of these styles are you excited to sew for your wardrobe now and which trends would you rather skip? 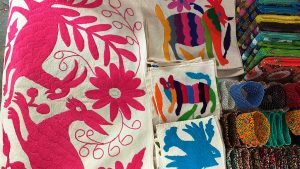 Which embroidery machine should you buy? 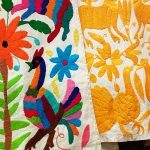 Which embroidery machine should you buy? 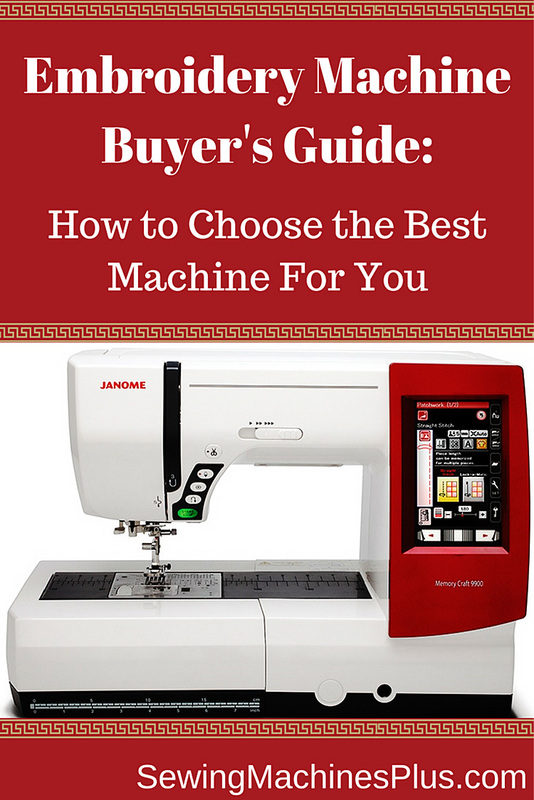 Here’s an embroidery machine buyer’s guide to help you decide. Choosing an embroidery machine can be confusing. There is a dizzying array of model choices and feature options available. But there is no need to be overwhelmed. 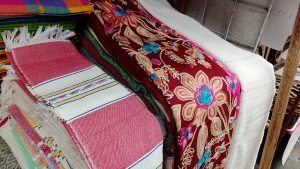 For the last several weeks, I have studied this issue to get a clear idea of how to choose the best embroidery machine. I have tested and played with every machine I could get my hands on. I also poured over the details for most every embroidery machine on the market. And I talked to Torrie Root, the super helpful Sales Manager at Sewing Machines Plus. We talked more than once for a long time and I asked her a ton of questions. She answered all my questions in depth. She also sent me more info so I could study this question further. 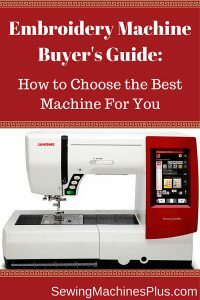 I have compiled everything I learned into this embroidery machine buyer’s guide. Hopefully this will help you decide which embroidery machine to buy to suit your needs best. Because embroidery machines tend to cost more than regular sewing machines, you want to get the most value for your money. You also want to ensure that you choose a machine that will serve you happily for many years. It would be a waste of your money to go for a model that you will soon outgrow. Your embroidery machine is an investment and you want to choose the best machine you can afford. For me, I know an entry-level machine will not satisfy me for long. I will want more and better features than a basic machine comes equipped with. So I would rather save up for a little while to be able to afford a higher quality machine that I can grow with, rather than one I will soon outgrow. Many embroidery machines are limited and can embroider only a small area. Some of these lower priced machines have an embroidery field of only four inches square! 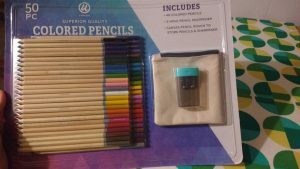 I know I will want more creative freedom than a four inch square field, and I bet you will too. There are many options for machines that come packaged with multiple hoops in different sizes. And most of these machines offer other hoop sizes and shapes that you can purchase separately to use with these machines, too. I definitely recommend choosing a machine that offers you multiple options for hooping. Different machines are loaded with different sized libraries of embroidery designs. Some have many more than others. And some offer prettier and more useful designs. I looked at a few machines that had boring designs and nothing much that I would actually want to use. Of course you will want to choose a machine that offers you plenty of embroidery designs that you like and will want to use. However, you can also download and/or purchase additional designs online or on disc, so you will not be limited to the design library that comes with your machine. Some machines make this easier to do than others, however. 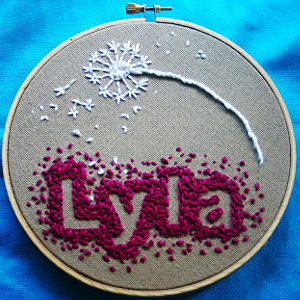 There are some embroidery machines which require an actual computer connection for additional designs, while others have a USB port so that you can use a little flash drive for transferring extra designs, instead. This makes more sense if your computer is a desktop in the den, for example. I wouldn’t want to have to connect my embroidery machine in the den; that computer desk doesn’t have enough space for an embroidery machine. So I’ll definitely buy one with a USB port so I can sit at my computer in the den to shop and download designs and then easily bring the designs to my sewing room on a thumb drive. Here’s another reason why I know I don’t want a basic model embroidery machine: there is a drastic difference between the displays of different machines. Some offer only a tiny window and no clear picture of the designs to choose from. 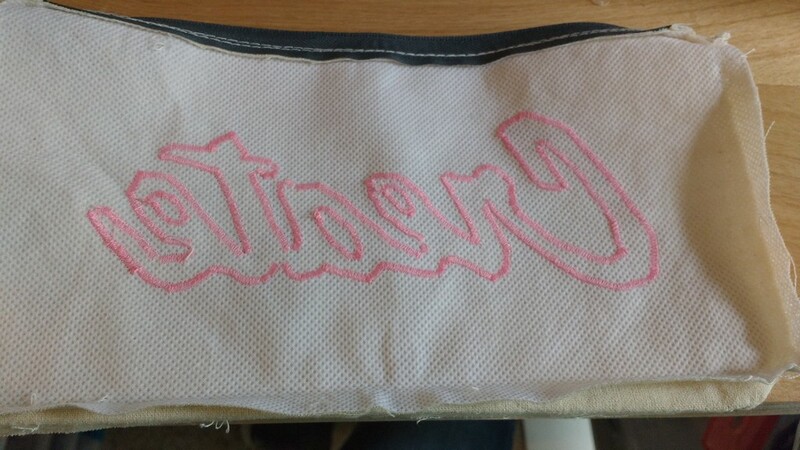 I want a clear view of the design I am embroidering, and I don’t want to have to consult the book or connect to the computer every time I use my machine. This is an important consideration when you are making multi colored designs, for example. I want a display where I can see at a glance an actual picture of the design in full color. Embroidery only or combo machine? 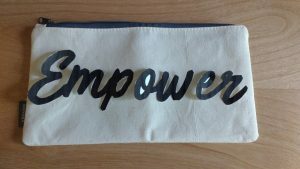 Since I already have a sewing machine that I really love, I was thinking that I would be able to get the best value for my money by going with an embroidery only machine. I figured I didn’t need to spend money on sewing capabilities when I am already well equipped for sewing. I also thought it would be more efficient to switch between two adjacent machines for two functions rather than having to switch functions on the same machine between tasks. I’ve changed my mind about this, however. That’s because most of the better machines are combination sewing and embroidery machines. 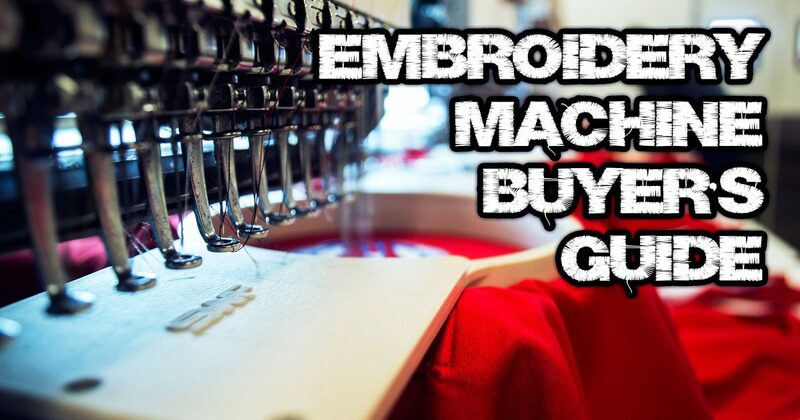 This is great because a machine that both sews and embroiders offers more bang for your buck. And these machines are larger with more sewing features and space than most regular sewing machines have. If you are a quilter like me, you will really appreciate the extra space these machines offer. It is not likely that your favorite sewing machine is as nice as your new sewing and embroidery machine will be! So in addition to adding an embroidery machine to your collection, you will be adding your new favorite sewing machine, too. There is one reason you might prefer to go with an embroidery-only machine, however. 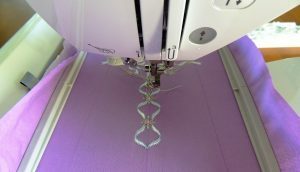 If you plan to operate a home business and do a ton of embroidery, you may want to consider a multi-needle machine. This kind of home embroidery machine will complete your designs more quickly. Multi-needle embroidery machines are also the only machines that will do a good job with embroidering hats. Torrie told me that all the combination models have a little trouble with this task, so if you think you will want or need to do embroidery on hats, you will want to consider this type of embroidery-only machine. Automatic thread tension – When your machine automatically adjusts the thread tension, there is no chance of mistakes due to improper tension. 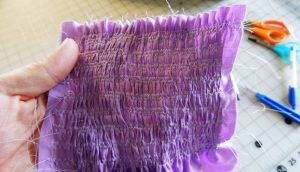 Thread trimming – Trimming all your threads by hand can be a pain. A machine that automatically clips all your threads for you will save a lot of time. 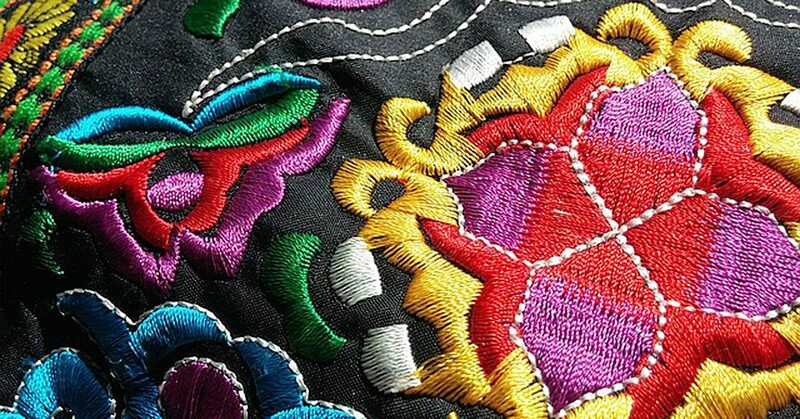 Embellishment capability – In addition to regular embroidering, you may also want to be able to do sequins and beadings. Some machines offer attachments that will enable you to attach these. Archable fonts – Allow you to curve your lettering. This offers more design freedom and can look a whole lot more attractive than straight monogramming when combined with other designs. Onscreen editing – On some machines, you can’t edit designs much, if at all. Many machines allow size editing of no more than 20%. A few machines offer greater size editing, and some allow you to create your own designs by offering corners and borders which can be combined with other design parts. Variable speed – Some machines have variable speed controls, which you can set to start slowly and gradually speed up. Knee lifter – This handy gadget lets you use your knee to lift the presser foot, leaving your hands free. I thought I was in the market for an embroidery-only machine, but after carefully considering every option available, my choice for the best machine for me is the Janome Memory Craft 9900 combo machine. On this machine, you can sew with the embroidery unit attached, so you don’t need to reconfigure the machine when switching between functions. 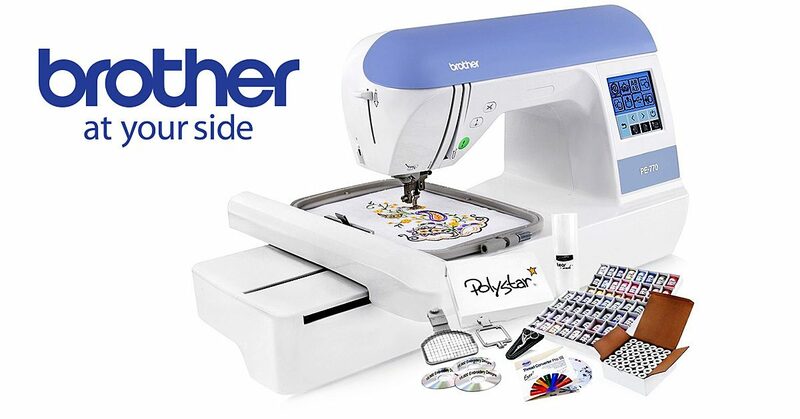 The Memory Craft 9900 offers 175 different embroidery designs, including pieces and parts for creating your own designs, and 200 sewing and quilting stitches. It has archable monograms, a knee lifter, and all the other helpful extra features I have already listed. Plus a full color display and much more. This exceptional machine is packed full of value with way too many extra features for me to list here. Instead, I’ll invite you to check out this page at Sewing Machines Plus to read all about it. 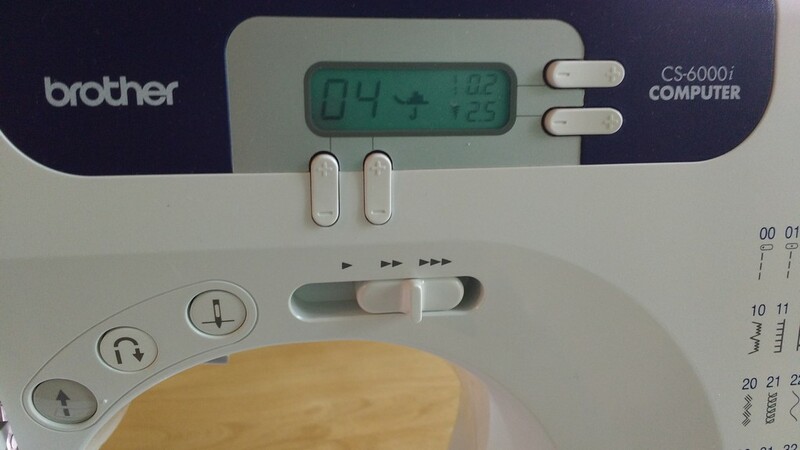 I am a Janome loyalist because I have consistently found Janome machines to offer the most user-friendly features and best value for my money. Though the MC9900 is not Janome’s most expensive machine, it offers top-of-the-line features. And Sewing Machines Plus is throwing in hundreds of dollars worth of extra attachments, for free. All this is why I see this model embroidery machine as clearly the best choice for me. If you are looking for a great value for an exceptional machine, I recommend that you choose this one, too. I think jeans are one of the most comfortable items in my wardrobe. They’re also a little boring. Sometimes I want to express myself while still enjoying the comfort of my favorite pair of jeans. 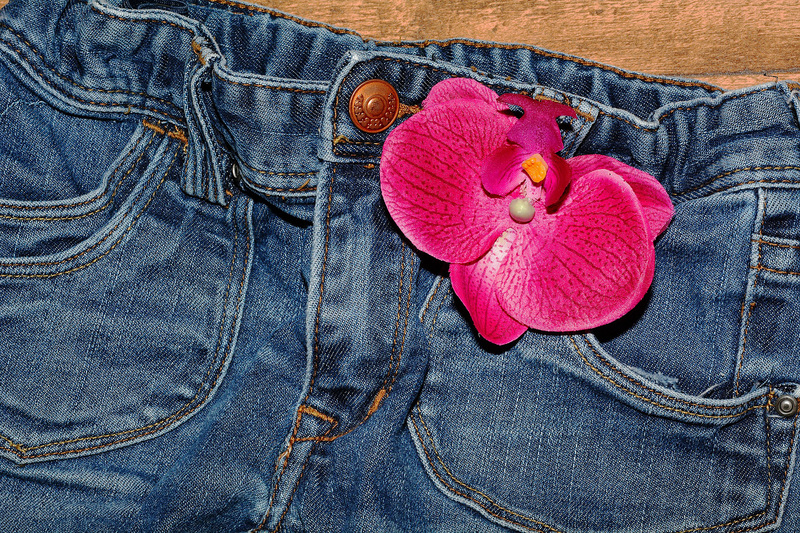 With this awesome DIY jeans project, I can – and so can you. I’m not great at embroidery, but with the abundance of patches available in craft stores and online, I don’t have to be – and neither do you. Pick up patches in a variety of sizes. Any that you think are fun and express your personality. You may not use them all on one project. That’s okay. Lay out the pair of jeans you’re going to spruce up and place patches to see what they’ll look like. Do one side at a time and sew them down with hand stitches. Don’t forget the waistline, pockets and cuffs. Well placed patches give jeans personality and character. Best of all, if that pair of jeans gets worn out or no longer fits, you can easily move them to another pair. This is a great way to use up some of your fabric stash while making a great item for your wardrobe. Choose some contrasting fabric you really love. 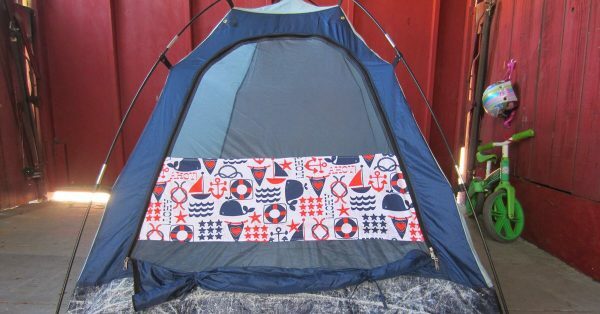 You should have about a yard or so of the fabric depending on how wide you plan to go with the next step. Slit the jeans on the outside from the bottom of the cuff up the seam to about half way to the knee. 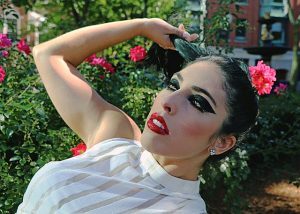 Using a triangular piece of contrasting fabric as an insert, resew the seam edges on the fabric creating a flared bottom. The more fabric you use, the wider the flare will be. Do both legs if you want the jeans to be symmetrical or do just one leg to create a unique look. 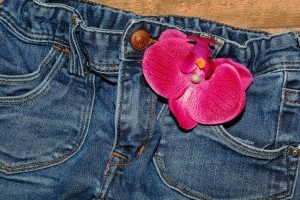 You can do either of these DIY jeans projects alone and wind up with a fabulous pair of jeans or you can combine them to create a pair of jeans like none other. I love both of these DIY projects because no special machinery or equipment is needed. Patches are inexpensive and I can use up some of my fabric stash. 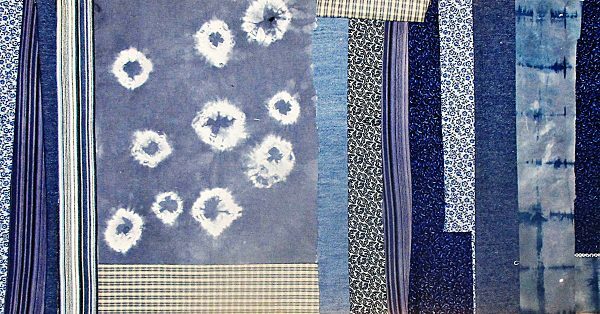 If you give either of these DIY jeans projects a try, share the pictures of your results. I’d love to see them! Sometimes, little decisions can make big impacts. Details that are minute and all but brushed aside as secondary could really have an effect on a life. Or in this case, a project! 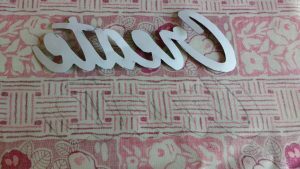 I’ve said before on this very blog that quilting is not baking, and it’s true! While I can guesstimate with my baking ingredients, specifics can be a serious deal when partaking in a sewing-related hobby. I’ve already covered that general topic, but for this blog post, I’d like to funnel that idea to one particular concept. That detail is picking out your fabrics for a project that requires more than one design of material. In the world of sewing, matching isn’t the goal. Complementing is. Now, I’m not saying that people don’t take this consideration seriously. I’m saying that in a world where you can find all kinds of free patterns online for sewing projects, this step is worth considering just as much as finding that right pattern, and that maybe there’s less help in regards to learning how to select a fabric set than—for instance— learning how to operate your sewing machine. After all, your fabric might not come with instructions or a series of recommendations for other fabrics to blend together into one project! 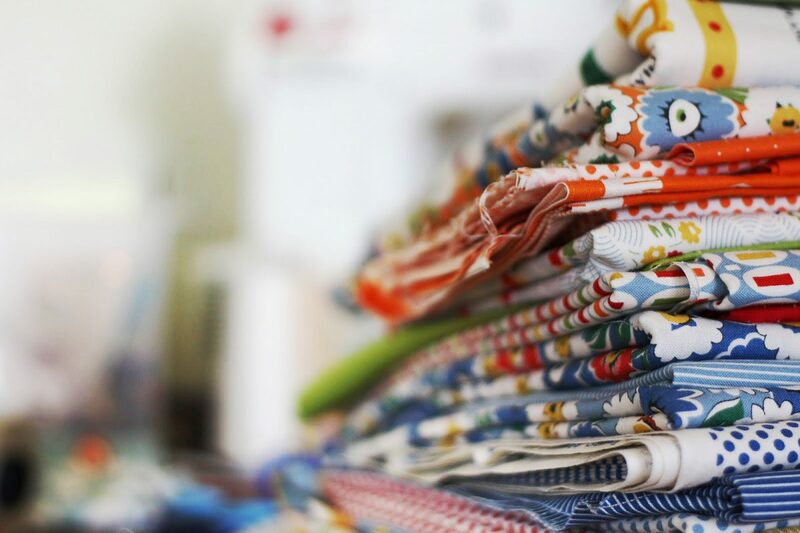 Gail Kesser helps you pick our your fabrics in her Craftsy series. So, here are some thoughts to chew on! Picking out a series of fabrics to use in one cohesive work isn’t about making sure they match in the traditional sense. The situation isn’t like you’re planning an outfit to wear. When deciding on your clothes for the day, you might consider a list of details to make sure everything works together because the result is supposed to match. In the world of sewing, matching isn’t the goal. Complementing is. That idea of complementing can come in the form of sticking with similar colors, or even embracing an overall theme your pieces all agree with, so to speak. As long as it’s a unified idea or connected imagery throughout, you’re good to go! 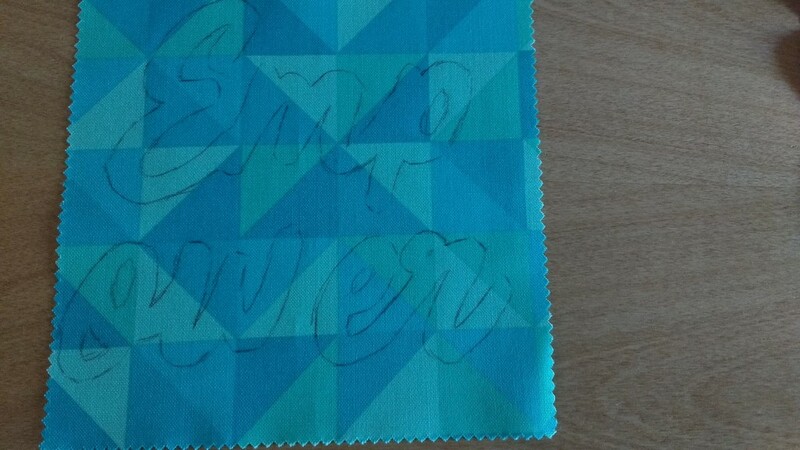 The quilting-for-kids project my niece got for her birthday. Don’t believe me? 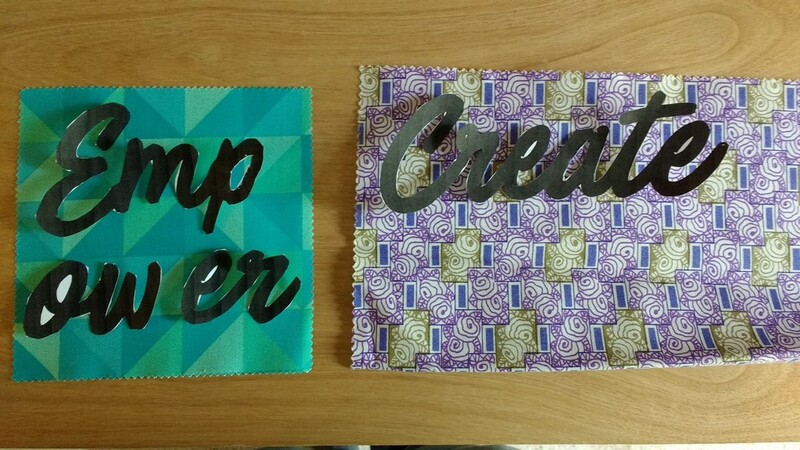 Even the people who created this quilting-for-kids project my niece got for her birthday knew that sometimes it isn’t about matching. This design is about complementing, or holding on to one specific theme—like the collection of different colors that my niece can put together! This concept might seem unimportant, but it isn’t since the distinction is so clear. Think of it this way. 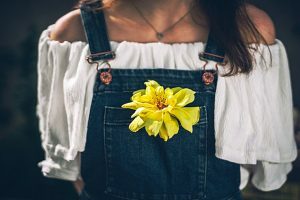 If you were picking out an outfit for a typical day, you might not go with a floral pattern top and a polka dot bottom, even if both of them are pink. Why? Because while pink might match pink, the designs don’t match. 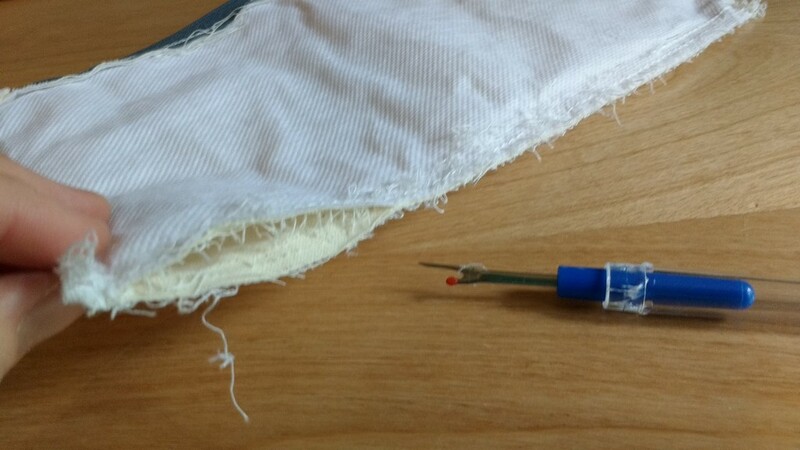 That disconnect isn’t necessarily okay when putting together an outfit, but when sewing? 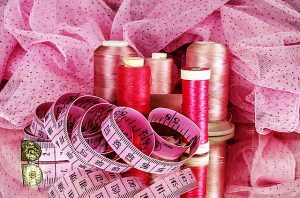 All you need to do is check out a set of pre-cut shapes to find evidence that the same guidelines don’t apply to the hobby of sewing. All in all, it doesn’t matter if your fabrics match like your outfit would. They can vary in design, and even color, so long as they complement one another in some way. And that aspect of the situation, my friends, leaves a whole lot of room for exploration and gives you plenty of room to make a design that’s all your own. To be truthful, that detail might be one of my favorite things about quilting and sewing. Whatever I come up with, it’s my design, I made it myself, and no one else likely has one like it. That feeling… That’s an okay thing! This image is based off of Dr. Seuss’s Fox in Socks, but I didn’t stop with socks! This fox is my “(Dressed Up) Fox in Socks” that was made by taking a general idea, and putting a hat and red attire on him. Anyway, a sewer or a quilter should really take charge in this detail, and maybe push it to unique, individual places. As an example, consider the work of art I created on the Paint program that came with my computer. This image is based off of Dr. Seuss’s Fox in Socks, but I didn’t stop with socks! 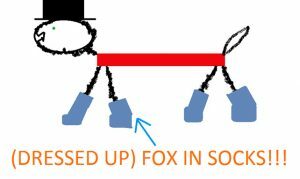 This fox is my “(Dressed Up) Fox in Socks” that was made by taking a general idea, and putting a hat and red attire on him. It started off simple—just socks from the story—and imagination took it further. 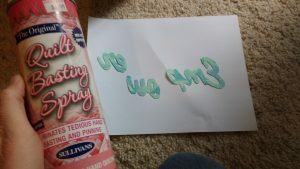 Disclaimer: I’m not saying this Paint project is actually impressive—just that it shows how a theme can grow with some thought and creativity! That’s the kind of pushing I’m referring to when picking out fabrics. Consider what you’re going for, find that beginning fabric, and think outside of the box enough to choose those complementary fabrics to create a breathtaking piece of art. Don’t stay with the easy options all the time! 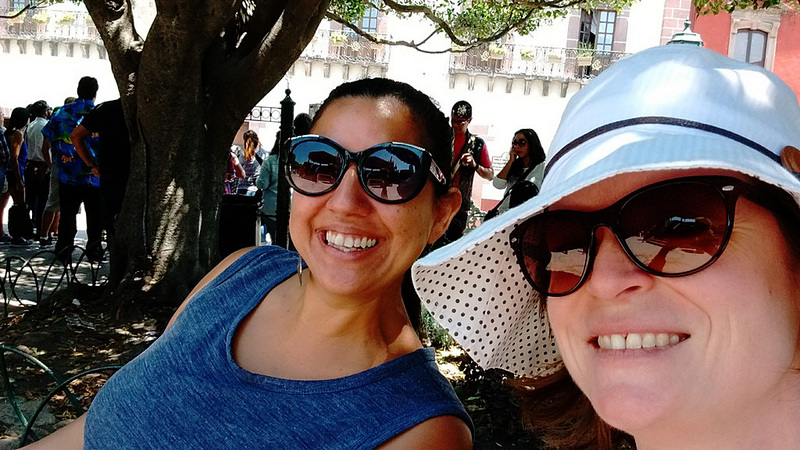 Push yourself, because sometimes the unexpected and the outside-of-the-box things can be a whole lot of fun! 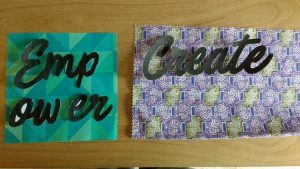 This post might be more centered around quilting, but it could be applied to different areas of sewing (or crocheting, or knitting…) that involve material. A purse that’s going to have more than one fabric, for example, could be planned out with the same guidelines. 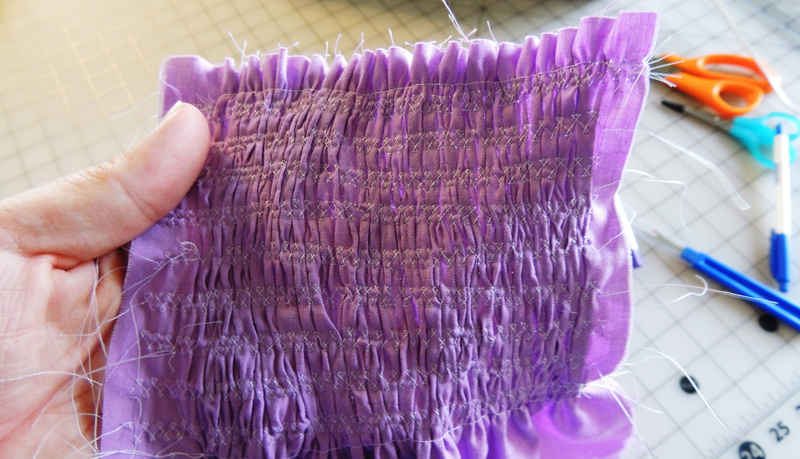 Any time you’re blending fabrics together, think it through to come up with a cohesive, beautiful work. Complement those designs and colors, or stick to a theme from start to finish. Either way, your work would come out cohesive with your final product being a one-of-a-kind gem that’s beautiful and looks just as put together as a well-planned outfit—just with different rules!